I am back with another Monday Reviews. This week, I am reviewing Let's Get Lost by Adi Alsaid, which I actually read a few weeks back, when I got my preorder in the mail. Like my last preorder, it came in early, and hey, I'm not complaining! I read it in around 4 hours, it was so good! There's HUDSON, a small-town mechanic who is willing to throw away his dreams for true love. And BREE, a runaway who seizes every Tuesday—and a few stolen goods along the way. ELLIOT believes in happy endings… until his own life goes off-script. And SONIA worries that when she lost her boyfriend, she also lost the ability to love. Can I just say that this book was AH-MAZE-ING!! I loved every page, every sentence, every word!! Alsaid is an amazing writer. The book is seriously so well laid out and I loved how I could get into the story super easily, I didn't have to worry about strange sentence structure. This truly is the book of the summer!! If you are at all on the fence, please read it! There is humour, and sorrow and just an all around adventure. Your summer cannot be completed without this book!! It has made it's way to my top favourite books ever. It is ridiculously well written and the characters are just so well developed. 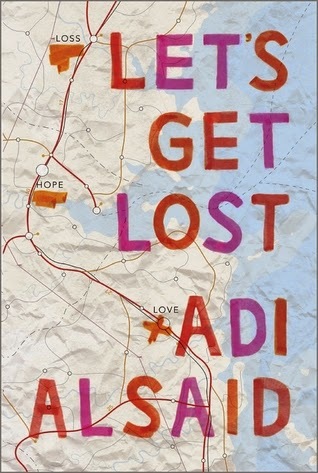 I gave Let's Get Lost by Adi Alsaid a full 5/5 star review on Goodreads because I could find nothing at all wrong with the book and I did not want to put it down!